The New Zealand Sg. 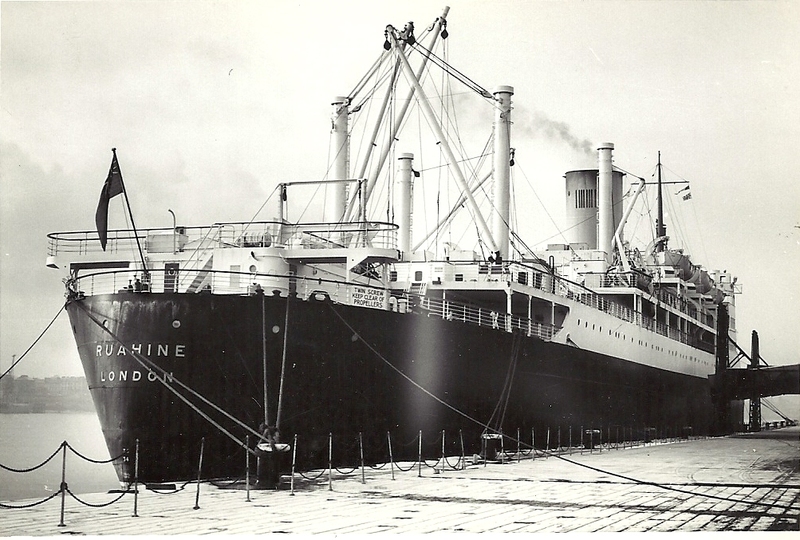 vessel RUAHINE on a snowy day in Feb. She became the ORIENTAL RIO in 1970 and was scraped in 1973. She was built in 1950 at 17,851grt. The photo was taken in about 1963.